Come to our events in Marshall, TX. 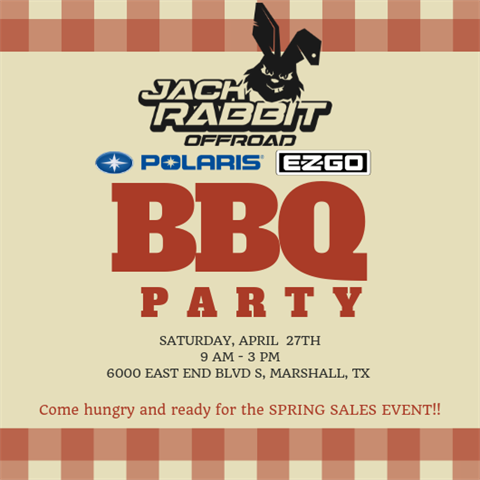 Overview: Come hungry and enjoy some BBQ and huge savings on the Spring Sales Event going on now!! We have a HUGE selection of Polaris Rangers, Sportsman, RZR, General, and E-Z-GO golf cars in stock! !